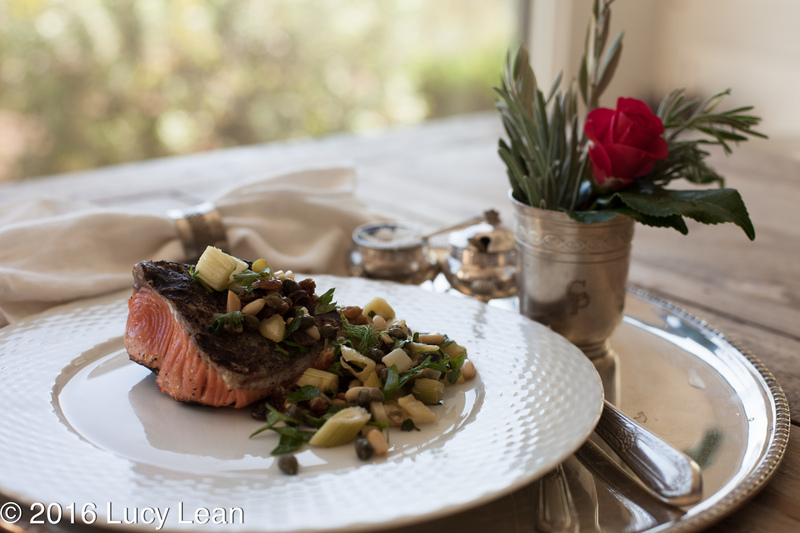 Lean Luxury salmon recipe for supper or lunch this fish from the grill is healthy, full of deliciousness and easy to prepare. Fish on Friday, or any day for that matter – so why not keep up with the Jones’ – Bridget that is and make the dish Patrick Dempsey tells Renee Zellweger he would have brought her in their imaginary second date. 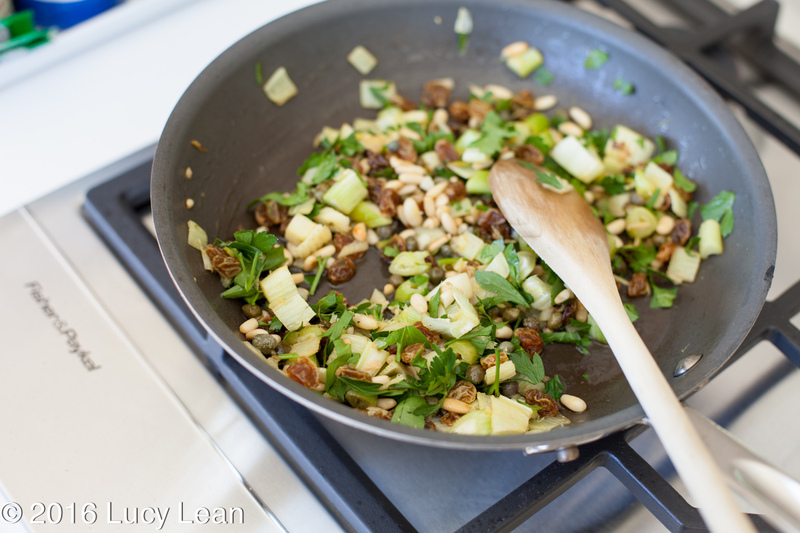 “From Ottolenghi”, he gushes, “it’s delicious and healthy”! This sounds like a Lean Luxury must make – plus I get to use my grill too. 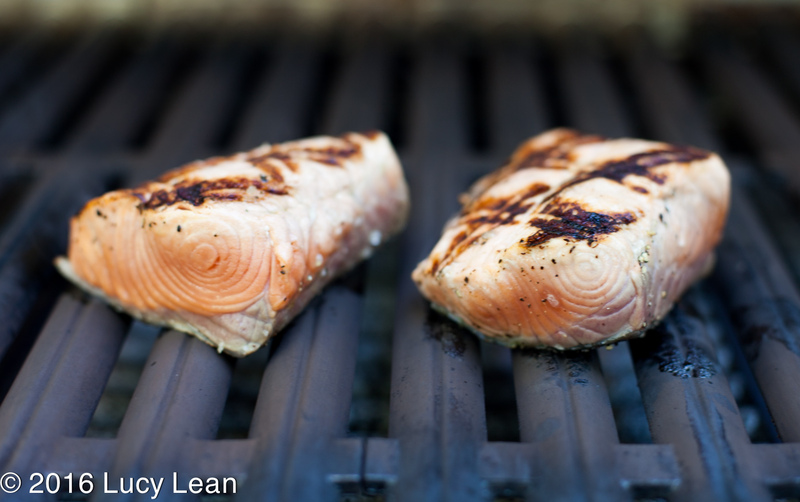 Preheat the outdoor grill on high and coat grates with a little oil to create a good surface for the salmon. 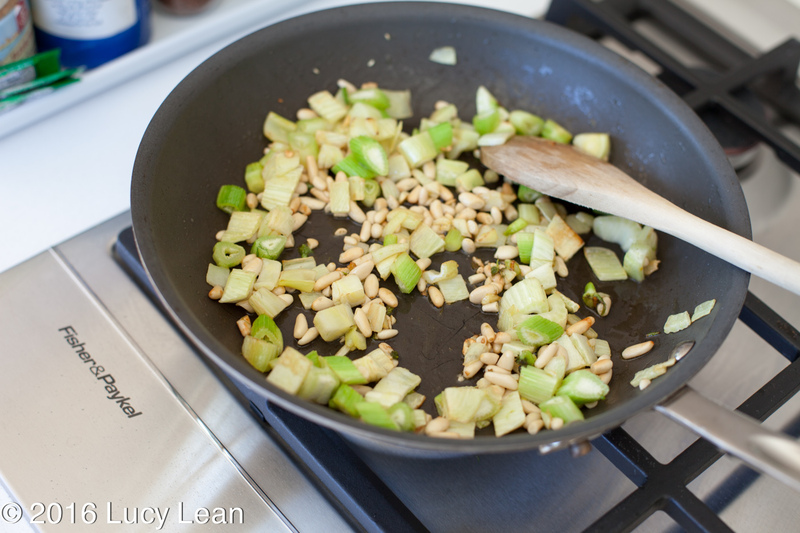 In a small sauce pan heat the olive oil and add the diced fennel, pine nuts and garlic. Fry over a high heat for 4-5 minutes, stirring frequently, until the nuts begin to brown (take care as they can easily burn). Remove the pan from the heat and stir in the capers and their brine, the olives (if you have), saffron and its water, the vinegar, sugar and a pinch of salt. Drain the currants and add these as well, along with the parsley, zest and garlic, then set aside. 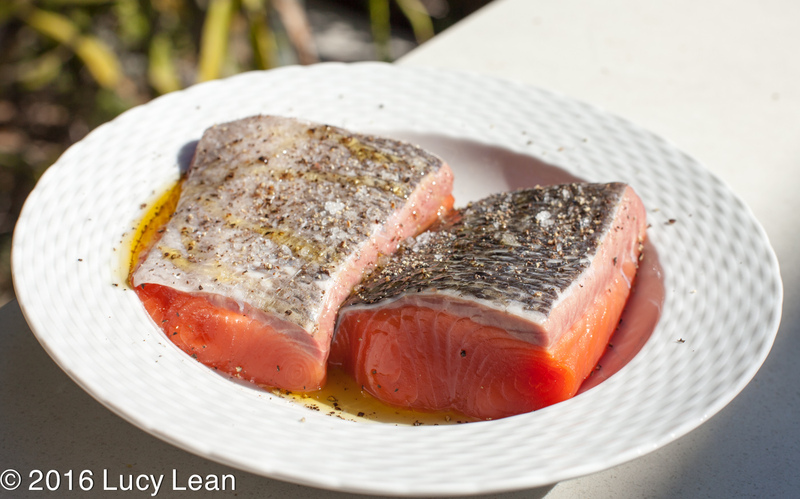 Coat the salmon fillets in a large bowl with the oil, a generous pinch of salt and a good grind of black pepper. 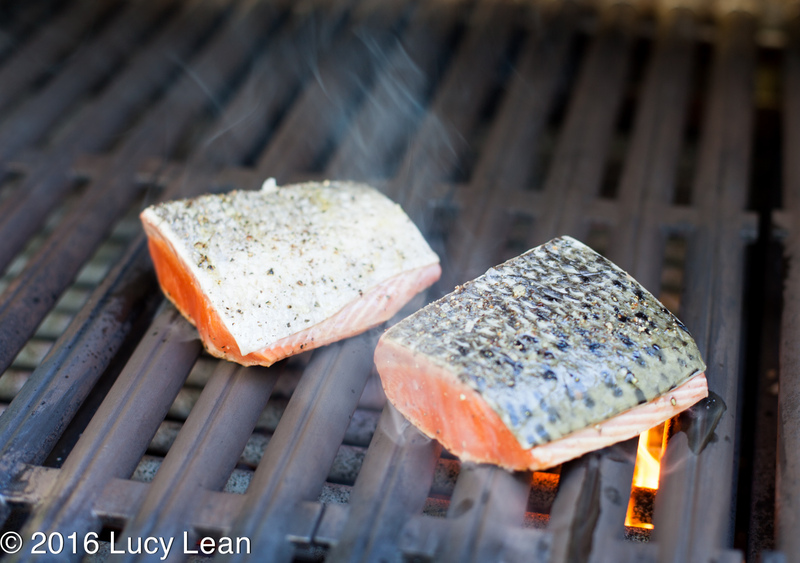 Once the grill is hot turn off the two outside burners, carefully place the salmon fillets, flesh side down on the center of the grill, at a slight angle. Grill for about 30 seconds and then, using tongs, carefully lift them up and place down again, changing the angle by 90 degrees. Char for another 30 seconds, so that criss cross char marks are formed. 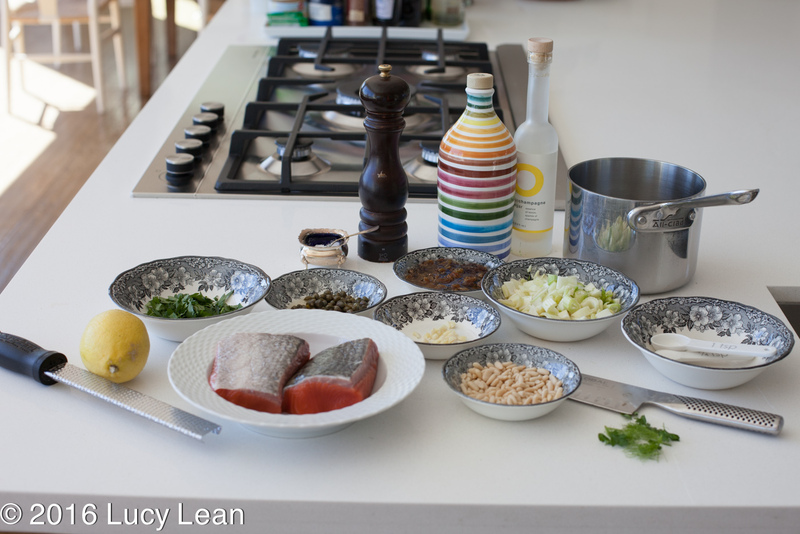 Turn the salmon over skin-side down, turn off heat and let cook for another 6 minutes, until cooked through. 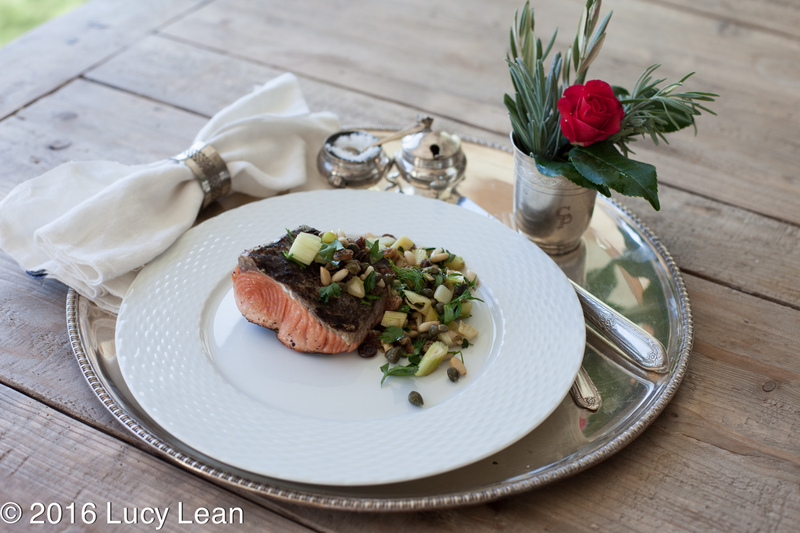 Arrange the salmon on 2 plates and serve, with the salsa alongside and the reserved leaves scattered on top.